The Bookies’ Enemy is a horse racing tipster who has been around for a number of years, operating on their own website and on various tipster platforms. They recently switched to the Betting Gods tipster platform and not long after that we commenced a three month trial of the service. The Bookies’ Enemy has a strong reputation of having made very good profits for his followers each year and so we were looking forward to seeing how he would get on under the spotlight of a live trial here at Honest Betting Reviews. Well we are pleased to say that they turned out very well, with over 100 points profit made to advised prices. That works out at more than a doubling of the bank in just three months, which is excellent going. And the return on investment for our trial was a superb 41%, one of the best achieved during a trial for some time. The strike rate was a little on the low side at 19%, as this is a service that relies on picking long-odds winners that represent strong value rather than backing favourites. So a degree of patience is advised when following the service. As you can see from the graph below, we were in profit for pretty much the whole trial, punctuated by a big move upwards in the middle. Whilst overall the results were fantastic, the one point to be aware of is that the Betfair SP results were quite a bit lower than the advised ones, with 32 points profit made in comparison to the 104 points profit made to advised prices. So although that is still a good profit, to really get the best out of the Bookies’ Enemy you do want to have access to bookie accounts. All in all however the trial has been a tremendous success and we are happy to award the Bookies’ Enemy a PASSED rating. Ease of use: Pretty straightforward service to follow with just a couple of bets per day on average sent the evening before racing, usually between 6pm and 8pm UK time. Availability of prices: With such a popular and long-running service like this, inevitably there is downward pressure on prices and so you want to get your bets on as soon as possible after tips are sent out. As we say, there was a big difference between results at advised prices and Betfair SP. Strike rate: The strike rate during the trial was 19%, which is pretty much spot on the long term average. Advised Betting Bank: A 100 point bank is advised for following the service, which should be ok given the average staking is 1.2 points per bet, but to be on the safe side you may want to consider using a 150 point bank. Subscription costs: The costs to sign up are £1 for the first 10 days then £40 per month, £80 per quarter or £240 per year. We often say here at Honest Betting Reviews that one of the most important factors when looking at a tipster is their long-term record. The longer they have been able to produce a consistent profit, the better. Well the Bookies’ Enemy has been producing profit for a number of years and has continued to do so since switching to the Betting Gods platform. Under the spotlight of a live trial the service also performed admirably, racking up over 100 points profit in just three months, which would be over £1,000 to just £10 stakes. With a return on investment of over 40%, this is one of the best trials we have seen for some time and it is a definite PASSED rating from us. The only thing to be aware of is that the results at Betfair SP were quite a bit lower than the advised prices, so you really want to have access to bookie accounts to get the most out of the service. But all in all it has been impressive stuff from the Bookies’ Enemy and this is one we will be adding to our portfolio for the long-term. The Bookies Enemy has been living up to his name lately, smashing in lots of big-priced winners. He has made a very tasty 44 points profit at advised prices since our last update, putting him on 103 points profit for the trial overall. At Betfair SP he is somewhat behind the advised price results, although still doing very well, with 34 points profit made since our last update and 49 points profit overall. This is looking like another top service for the Betting Gods platform alongside some of their other high quality horse racing tipsters. A small retrace for The Bookies Enemy since our last update, with 14 points lost at advised prices. That means we are now 59 points up for the trial overall at advised prices. Quite a significant gap is opening up between the advised prices and Betfair SP results, as we are now just 15 points up at Betfair SP for the trial overall after losing 24 points since our last update. So it is questionable whether this is going to be profitable to follow the service at Betfair SP, time will tell on that front. Overall though the trial is still going very well so can’t have too many complaints thus far. It’s been a fantastic start to our trial of the Bookies Enemy with 73 points profit made to advised prices after one month. At Betfair SP a good profit has also been made, although not quite as much as at advised prices, with 39 points profit made so far in our trial. The Bookies Enemy has a big reputation behind him and it’s good to see he is living up to that so far. So the saying goes. It may be a cliche we hear often in the sporting world, but it applies just as much in the tipping world too. And it certainly applies to the next tipster we will be reviewing here at Honest Betting Reviews. This tipster has been around for some time and has built a reputation as one of the most respected names in the business. He has regularly made over 100 points profit per year and is famous for landing betting coups at long odds. It is none other than The Bookies’ Enemy of course, a horse racing tipster who has recently signed up for the Betting Gods stable. It is quite a coup for Betting Gods as well, as the Bookie’s Enemy comes with a strong betting record and following behind him. He has offered his tips through a number of sources previously, including social media, his own website and another tipster platform. He has been known as “Bookies’ Enemy Number One” formerly, but now it is just the Bookies’s Enemy. But hopefully now he has found his rightful home at Betting Gods who should provide the kind of stability for him to really prosper. The Bookies’ Enemy is in fact a chap called Gary Poole and as we say, he has been around for a number of years and has regularly racked up impressive profits in that time. Since starting proofing to Betting Gods he has made a very impressive 270 points profit, which has worked out at an amazing £550 profit per month to just £10 stakes. Those results have been achieved at a superb return on investment of 80%. Retaining a return at that level will be nigh-on impossible in the long run, but regular profits should be very possible and indeed have been Gary’s staple. His strike rate has averaged around the 22% so far and as we say, his specialism is going for horses at long odds of 25/1, 33/1 and even higher on occasion. He has also been known to land a big-priced acca or two, so watch out for those if you are a follower of the service. All in all then this is a serious tipster and one we are looking forward to testing out. 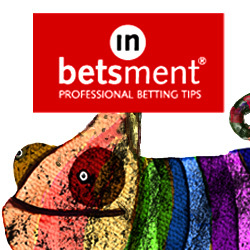 We started receiving tips on 17th November so we will record results from then onwards. We are pleased to report we are off to a flying start as well. As usual, results will be updated here regularly during the trial. In the meantime you can check out The Bookies’ Enemy here. May I ask just a few questions regarding this tipster? When you received your tips did you place them all on Betfair and secondly did you place them at the suggested odds (from the email) and then mark the SP box on Betfair to give you the best available odds at the beginning of the race incase your bets didn’t get matched at the odds they recommended? Third and lastly, will you be posting a further review of this tipsters performance from your previous post (Feb 2018) until now. Thank you for taking your time to read and reply to this email, I know it was quite a long comment. The odds recorded on the results page are the advised odds from the e-mail sent out by the Bookies Enemy and the BSP is the Betfair Starting Price – so yes that is the SP box on Betfair. We use both as a comparison, as often people cannot get the advised prices (due to having bookie accounts closed or restricted) so they want to know if the service would still be profitable if you just used the BSP. The good thing about BSP is that it is a fair measure because everyone can get it (presuming Betfair is legal in your country of course!). Yes we will updating the review, probably towards the end of this month as that would be six months after our original review.